Word on the street is that Epcot’s Character Spot, the meet and greet spot for Mickey in the gang located in the Innoventions West compound, is shuttering soon, possibly as soon as this weekend, for a massive retooling. Reports are listing February as the current target date for reopening, allowing more than three months for reworking the area. I, for one, think this change is long overdue. The Character Spot has always felt out of place in Future World, or ill-conceived at the very least. The cut-out scenes with cartoonish characters and scenarios never seemed to fit in with the messages of Future World. Whether you view Future World as the embracing of today's technology or the hope for better tomorrows, the Character Spot enbraces neither of these. If Epcot wanted to play up the toon side of the characters and not the Epcot side of this meet and greet, it should have been located in the Imagination pavilion, and not in such a central location. 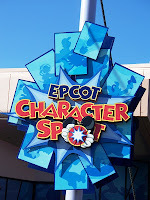 Epcot has been shamed by the recent openings of the Town Square Theater and Pete’s Silly Sideshow in the Magic Kingdom, showing how to introduce characters around a central theme that plays well with the other attractions in the area. Character Spot has always felt like a way to shoe-horn characters into Future World, and this refurbishment is, hopefully, a way to end that pattern. If I were making these changes I would offer up a few different ways to move forward. Give the characters matching outfits that play up the idea of the future. Bring back rainbow Mickey and the silver suits for the rest of the gang? No, but you can come up with a futuristic story that they can all be dressed for. Move the characters to different pavilions. Make Goofy and mechanic and give him a corner of the reimagined Test Track. Make Minnie and astronaut and place her in Mission: SPACE. Donald gets wet in scuba gear at The Seas. And you really want to make people smile? Give Mickey and Dreamfinder outfit and station him in Imagination! While we’re at it, can we bring back some sort of Figment meet and greet? Last, and not precisely least, if you are going to keep the characters in the current Character Spot location, make it feel like Epcot. Place them in front of backdrops of various Future World or World Showcase pavilions/skylines and add in a few appropriate props. 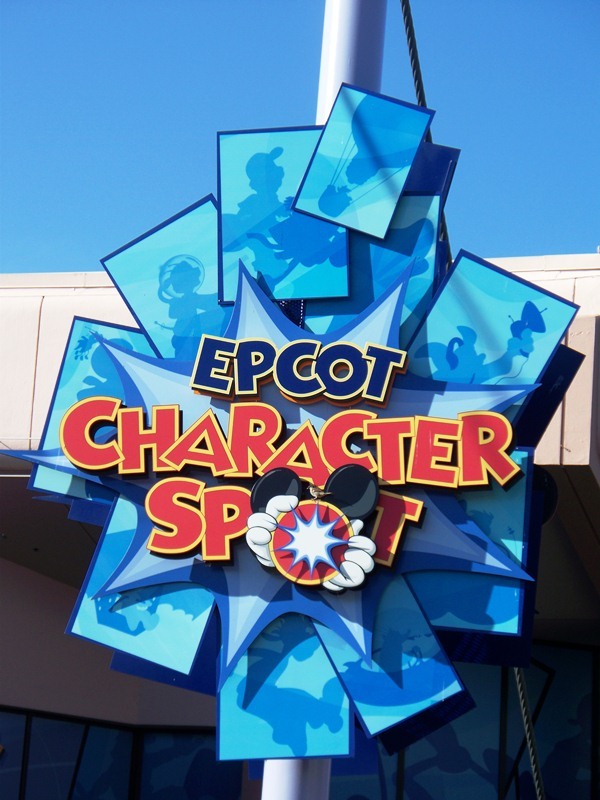 I am personally glad to see the Character Spot closing in Epcot. Between all the messages to choose from in Epcot, and the progress being made by Imagineers on the meet and greet set-up, I can only begin to imagine what is possible for characters in Epcot! I like your idea of moving the meet and greet into the Imagination Pavilion. That makes total sense, and would help drive more guest traffic toward that ride. They won't give Donald more than one location at Epcot. He already appears at Epcot in his Caballero costume.